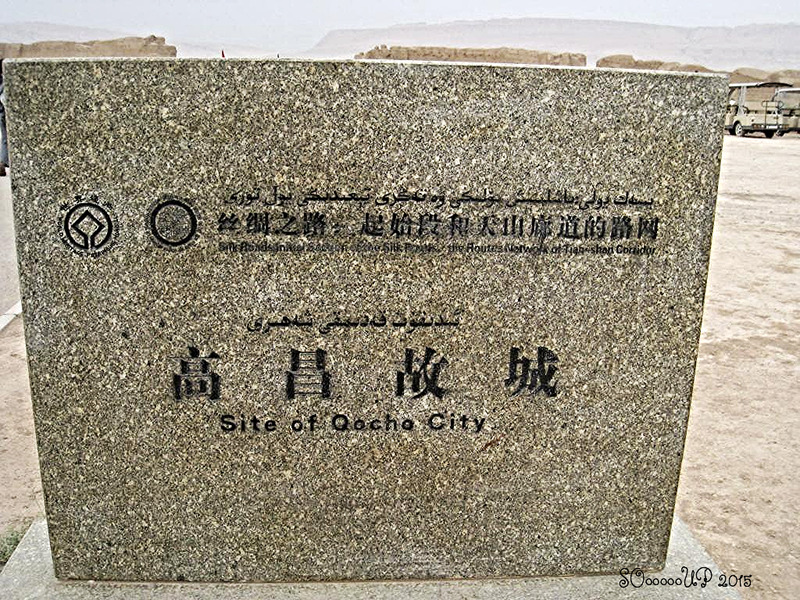 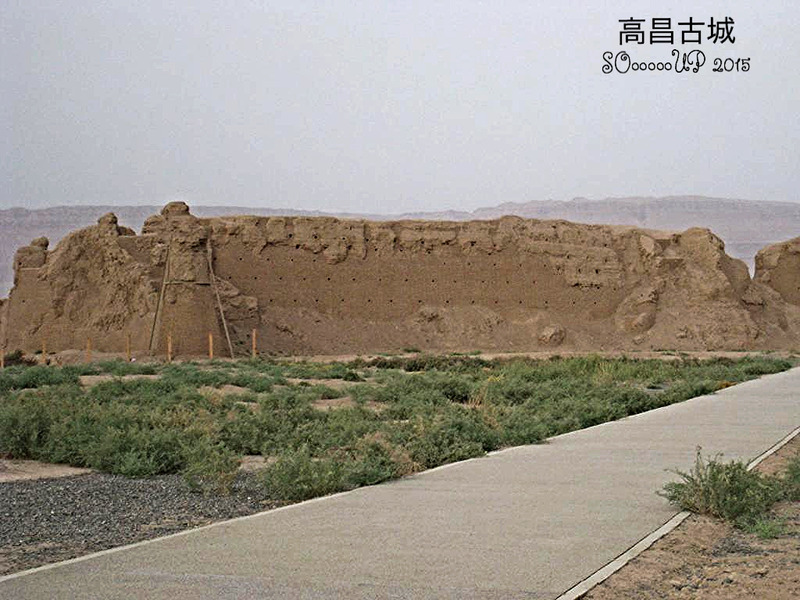 Gaochang is the site of an ancient oasis city built on the northern rim of the inhospitable Taklamakan Desert in Xinjiang, China. 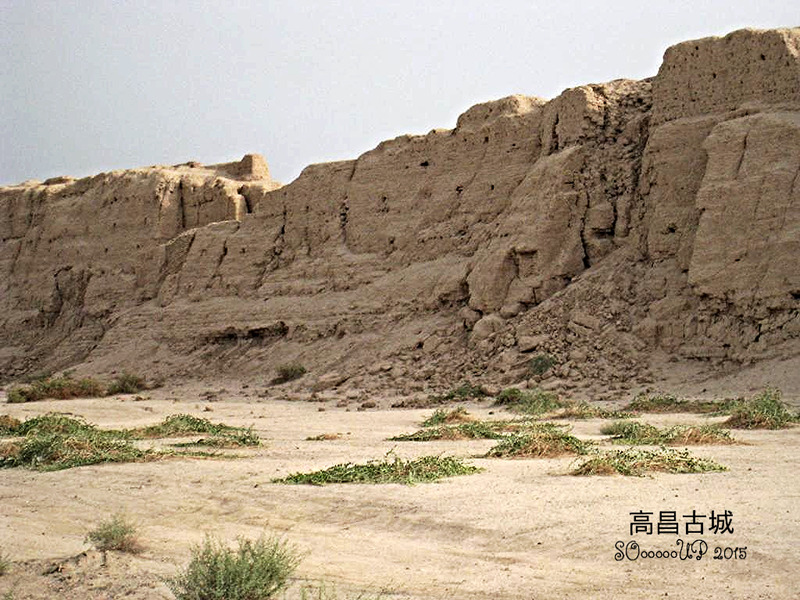 A busy trading center, it was a stopping point for merchant traders traveling on the Silk Road. 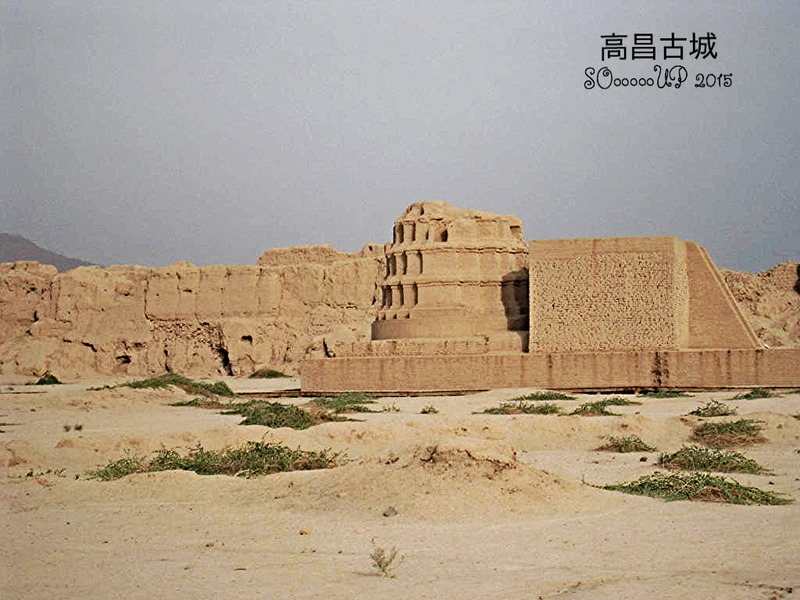 It was destroyed during the 14th century due to wars, and old palace ruins on the inside and outside of the cities can still be seen today. 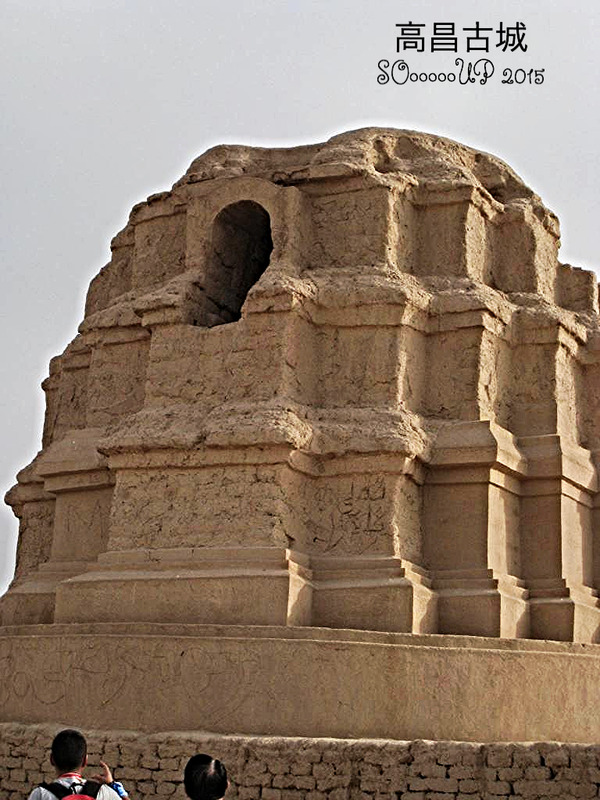 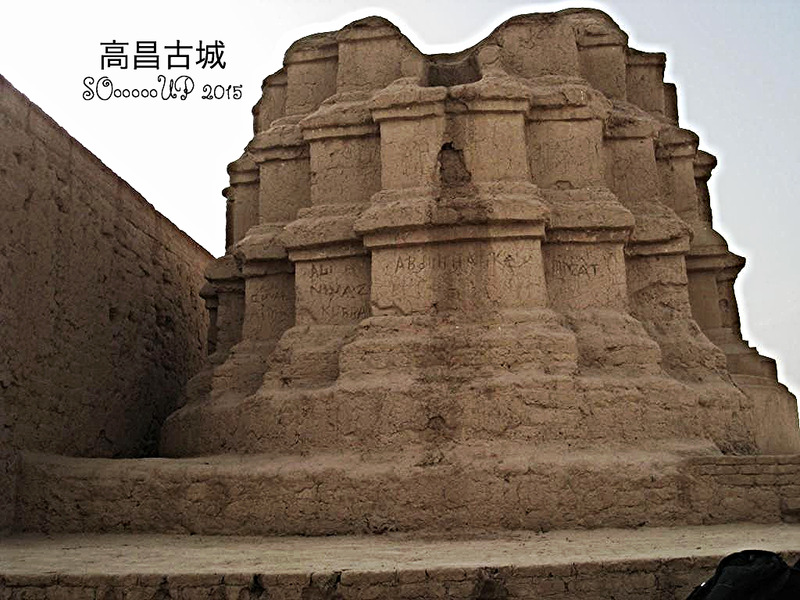 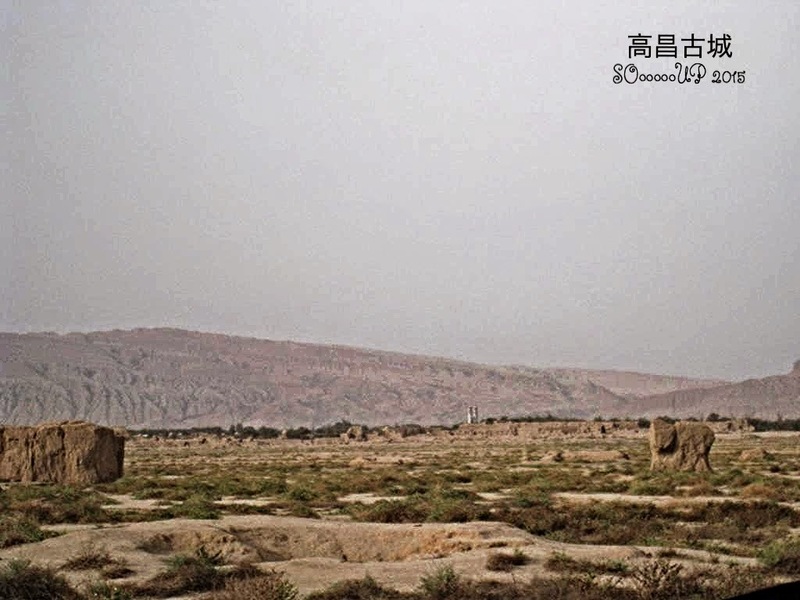 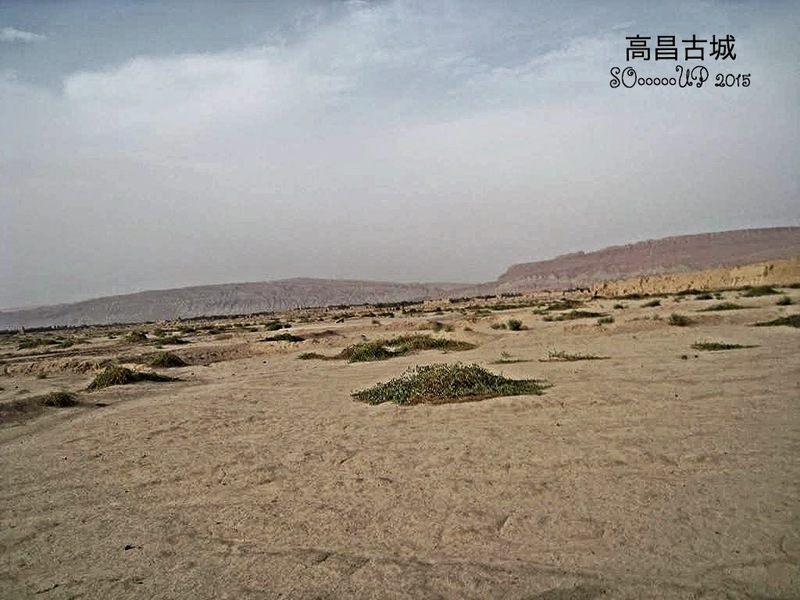 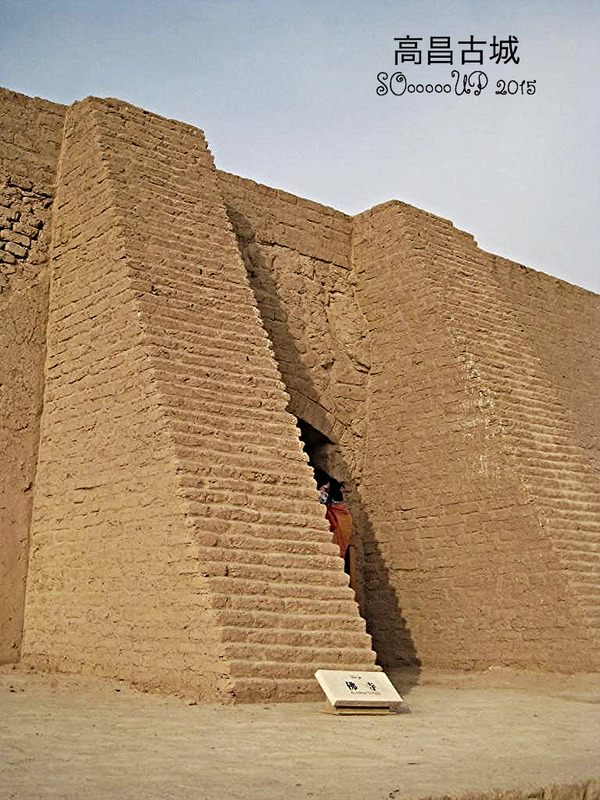 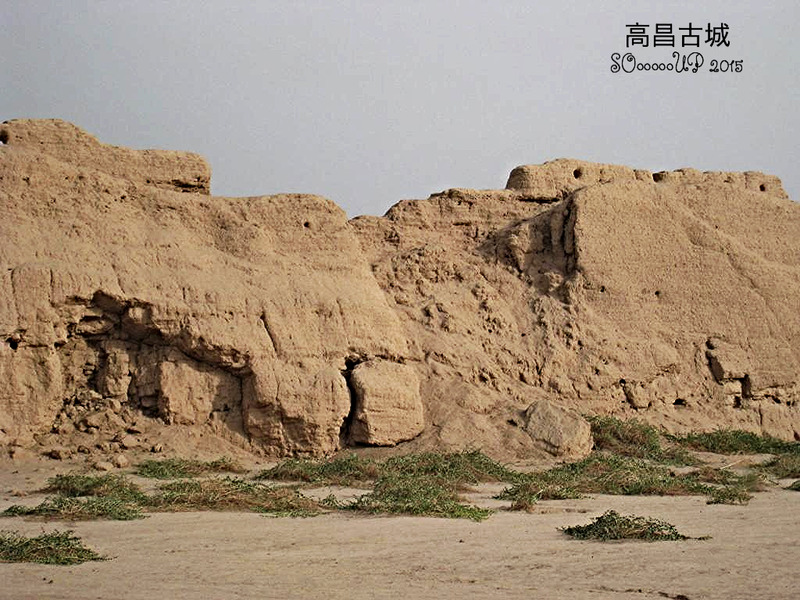 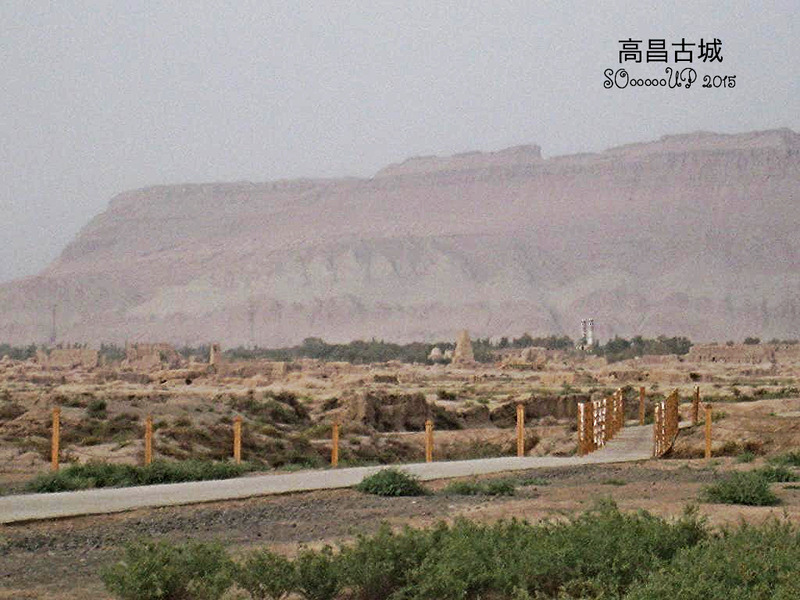 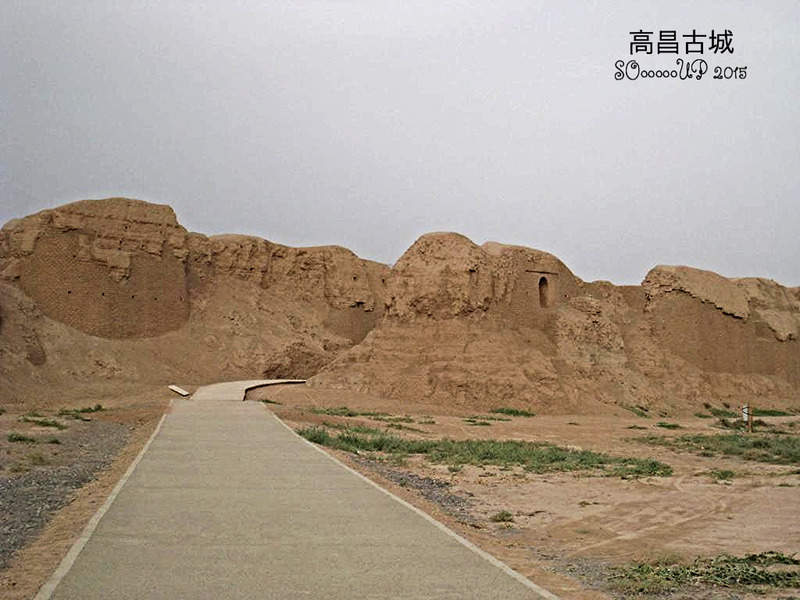 The ruins are located 30 km southeast of modern Turpan. 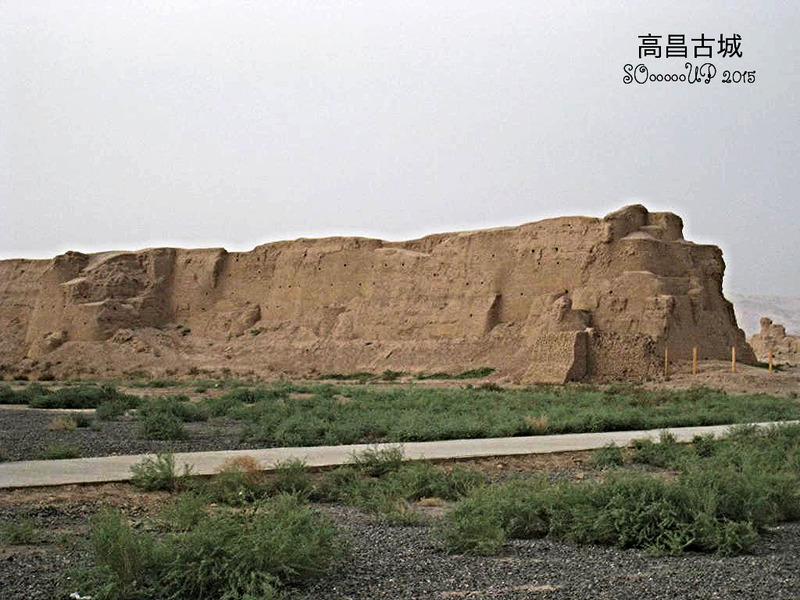 A busy trading center, and near the city of Beshbalik, it was a stopping point for merchant traders traveling on the Silk Road. 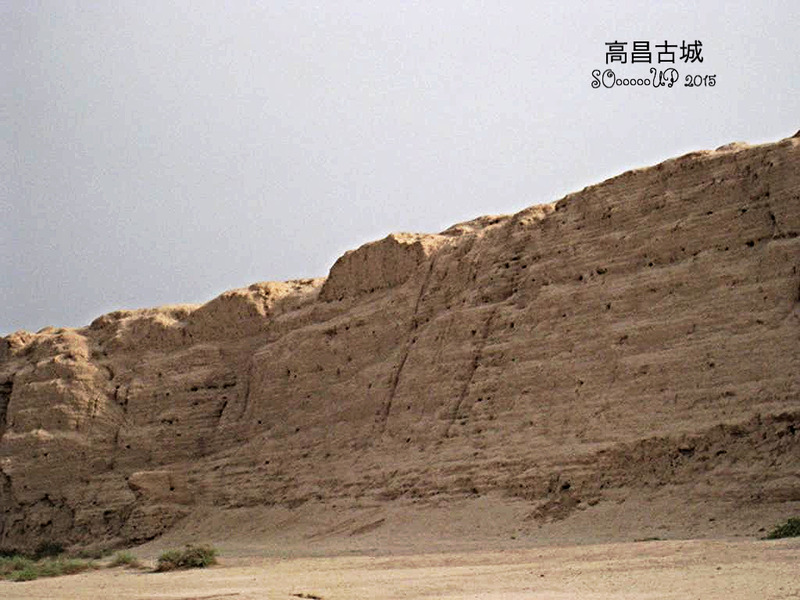 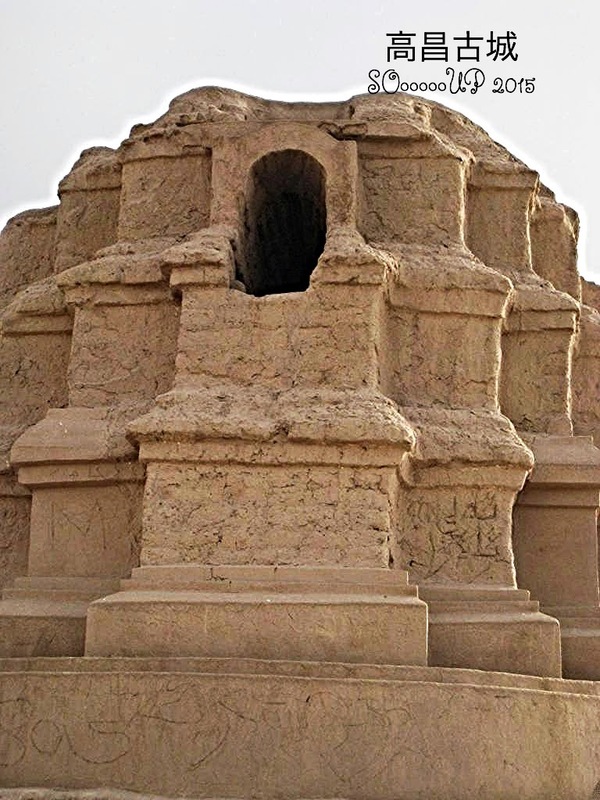 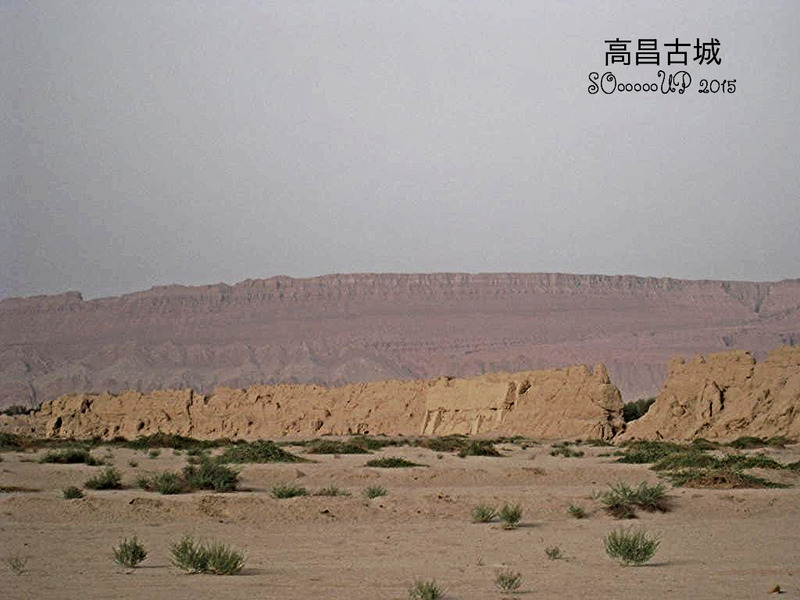 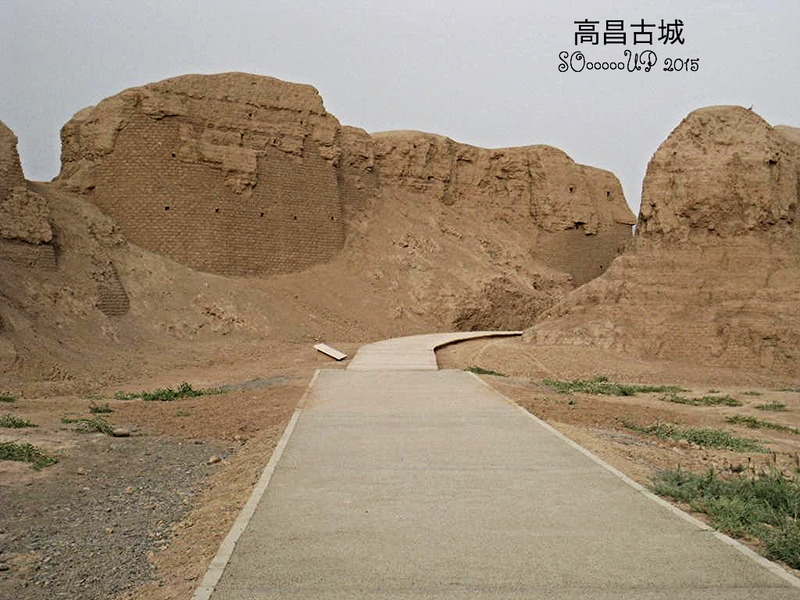 The ruins of Gaochang are located at the foot of the Flaming Mountain, about 40 kilometers southeast of Turpan. 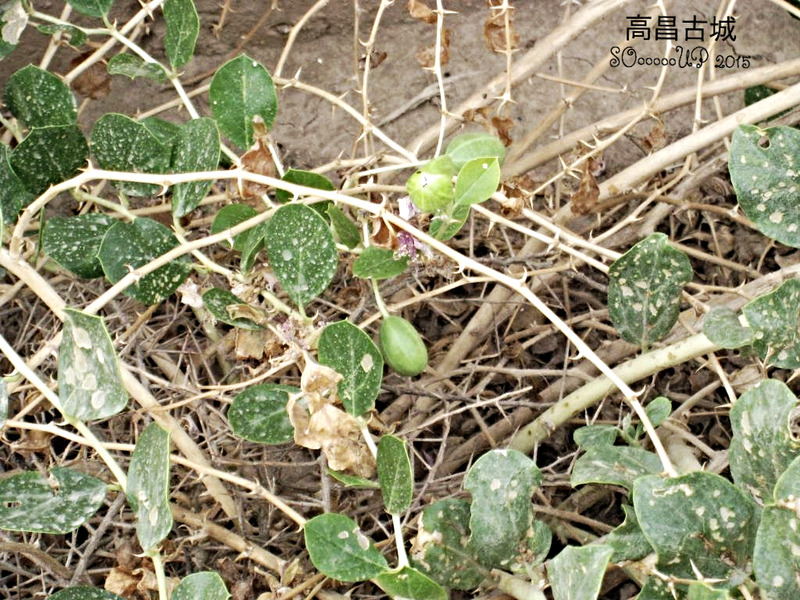 The only plant that grow so well in the desert is water melon.